Whatever the application, if you’re looking for a pump that’s easy to start, easy to operate and built to last - look no further than a Honda. Shifting greater volumes of water than the WX10 this model is designed to handle more challenging roles than its younger brother. It is ideal for fresh water irrigation in large water movement applications. The WB20 is capable of pumping 600 litres a minute and will pump up to 79,000 litres on a single tank-full of fuel. 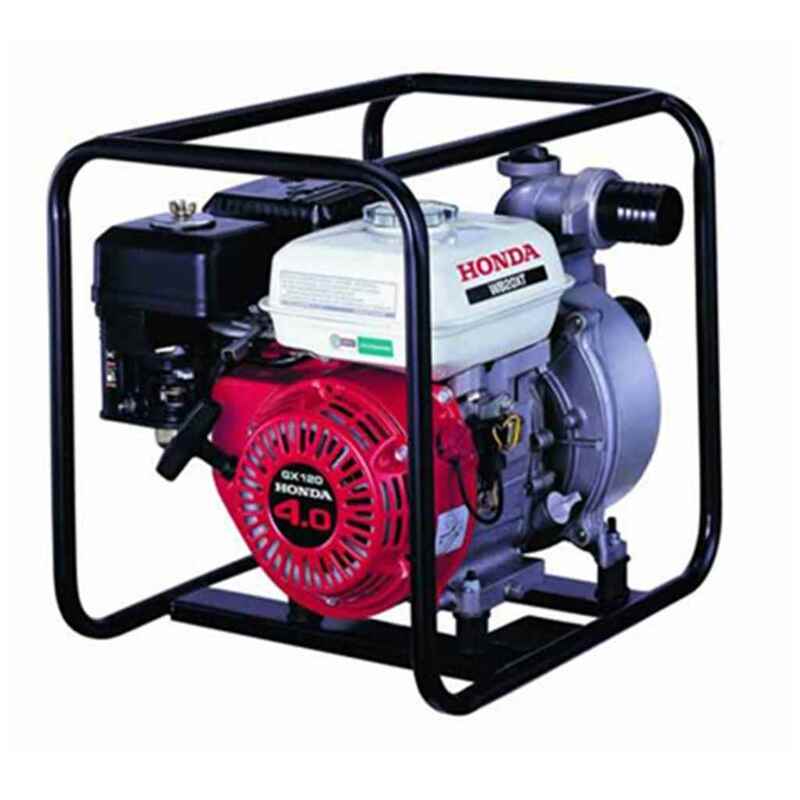 The pump is housed within a frame to provide a stable surface to operate from and to make transportation easier. It features the bullet-proof GX120 4-stroke OHV engine.